[At its party conference] GREEN Party leader Natalie Bennett has renewed her prediction that the HS2 rail link will never get built. In an interview with the New Journal here in Birmingham, she said there was not enough public support for the high-speed link from Euston, which she refers to as the “rich man’s railway”. […] HS2 looks set to cause years of disruption in Camden, even though a [HS2 to HS1] link-up route through Camden Town was axed from the plans earlier this year. Residential areas around Euston and Regent’s Park will face the brunt of the redevelopment with a forest of skyscrapers predicted – towers which will be marketed to help dent the cost of the project. During the Bull Ring redevelopment around a decade ago, there was the possibility of transforming the quality of Birmingham city centre. Options included a surface pedestrian boulevard between Moor Street and Smallbrook Queensway, and a capacity enhancement of New Street rail station, by building of a third pair of tracks from the east. Unfortunately, corporate greed won the day, and as far as transport was concerned, all the good burghers got from the years of disruption was St Martin’s Queensway tunnel (pictured below), and Moor Street bus mall (which was shut down a few weeks after it opened). For many people, the unwelcoming St Martin’s tunnel is the only practical route between Moor Street and New Street stations. After HS2 Ltd revealed to Birmingham council that the proposed high speed rail station would be located in Curzon Street (adjacent to Moor Street), Centro appears to have finally woken up to the image problem created by the St Martin’s tunnel. Plans are being drawn up to make it easier, quicker and more pleasant to travel between two of Birmingham’s key train stations and the emerging Eastside district, site of the city’s future high speed rail hub. Centro, the region’s transport authority, has appointed city architects Glenn Howells Architects (GHA) to develop detailed proposals for a high quality link between Eastside, Moor Street Station, New Street Station and the wider city centre. 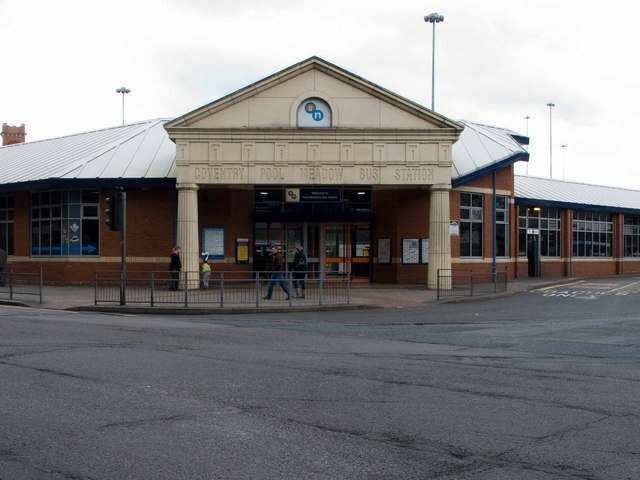 More than one million passengers travel the route each year but Centro and the city council hope to create an interchange between the two stations and the high speed (HS2) hub that gives the feel of being in one connected station. Given the amount of public highway (and ugly concrete) involved, it’s going to be a bit of a challenge to get the “feel of being in one connected station“. And as anyone familiar with Snow Hill rail or Pool Meadow bus stations will know, Centro’s aesthetic sensibilities leave a lot to be desired. Glenn Howells Architects seem to be involved with the plan to create 21st century slums at Icknield Port, and the scheme to cover the site of Birmingham Central Library with nondescript high-rise office blocks. “Re-opening of the (South Staffordshire railway) line between Walsall and Stourbridge” is one of Centro‘s aspirations for the period 2014 to 2019. Passenger services stopped running in the 1960s, and nearly all of the South Staffordshire Line was closed altogether in the 1980s and 1990s. The term ‘South Staffordshire Line’ (SSL) is now used to designate the railway route from Wychnor Junction to Stourbridge via Lichfield, Walsall, Wednesbury, Dudley, and Brierley Hill. For more than twenty years, Centro has been looking to use parts of the South Staffordshire’s trackbed in its Midland Metro tramway scheme. In June 2000, it submitted an Initial Outline Business Case to the government for two Midland Metro ‘Phase One Extensions’ – the Birmingham City Centre Extension (BCCE), and the Wednesbury to Brierley Hill Extension (WBHE). Christmas has come early for the people of the Black Country according to transport bosses. Public transport promoter Centro and councillors on the West Midlands Passenger Transport Authority have responded with joy at today’s Government approval for a major extension of the Midland Metro tram system. Transport Minister David Jamieson made the announcement earlier this morning. He said the Government would grant Centro the powers to extend the light rapid transit system from Wednesbury to Brierley Hill, via Dudley. The decision follows a public inquiry into the £139m scheme earlier this year. The 11 km Wednesbury to Brierley Hill Metro route will have 13 easy-access stops with four Park and Ride sites serving shopping and business areas in Great Bridge, Dudley Port (connecting with local train services), Dudley town centre, the Waterfront and Merry Hill before terminating near High Street, Brierley Hill. Modern trams would cover the distance in 23 minutes, travelling on-street through parts of Dudley and following the route of a mothballed railway line for much of the remaining journey. During the course of the Inquiry which concluded in April this year, Centro reached agreement with both Network Rail and the Strategic Rail Authority to protect the route of a parallel railway track should it ever be needed for freight trains. Objections by rail enthusiasts wanting to see passenger train services were dismissed as expensive and unrealistic. Centro’s evidence claimed that the extra work required would cost more than £36m and that, according to the Government’s Strategic Rail Authority “… there is no demand that would justify a passenger service on the Walsall to Stourbridge axis, either now or in the foreseeable future”. Not long after the public inquiry had ended, Centro issued a new funding requirement for the WBHE that was much higher than the claimed ‘£36 million extra work’ required for South Staffordshire passenger rail service. The WBHE scheme went nowhere, and Centro repackaged it as the ‘Wednesbury – Brierley Hill – Stourbridge Rapid Transit’ tram-train, costed at £341 million. continues to have the full support of the Black Country councils and has been agreed by the region as a transport priority for the West Midlands, paving the way for it to be included in a future Regional Funding Allocation bid. Private sector backing for a Wednesbury to Stourbridge link is also strong. Substantial financial support agreed by Westfield, owners of the Merry Hill shopping centre, for improved rapid transit access to the Waterfront and Merry Hill will continue to underpin a funding case for the route. Preparation work on the route is continuing and one option being pursued by Centro and key project partners including Network Rail is the use of track sharing technology similar to that seen on the Continent. This would allow freight trains and trams to use the same tracks, removing the need for an extra set of rails to be laid. This would reduce construction costs by at least 20 per cent, further strengthening the project’s business case. Treating the Birmingham city centre extension as a separate scheme actually makes a Wednesbury to Brierley Hill/Merry Hill and Dudley link more attractive. This is because the most attractive business case for a light rail system on this route is likely to be for a scheme in which frequent services departing from Brierley Hill will alternately serve Wolverhampton and Birmingham with all the enhanced destinations offered by going right into the heart of the city rather than terminating at Snow Hill. Centro and the Black Country councils are therefore fully committed to the development and delivery of the most appropriate rapid transit system that links Wednesbury with the area’s other strategic centres and connects local people to job, education, training and leisure opportunities. The dereliction of the South Staffordshire Line today is a result of Centro’s failure to place it on a care and maintenance footing (after the cessation of freight services in the 1990s). Reinstatement is further complicated by the tram-train proposal, which has likely put paid to any freight or passenger use for years. HS2 shows how one bad policy can beget multiple undesirable effects. And how – if not left too late – these bad consequences can be avoided, by abandoning the idea that led to them. No-one knows what the demand for North – South travel will be in the future, but the decision to pursue high speed rail magnifies the project risk, because of the very long lead times involved. requires the acquisition of more special purpose rolling stock (that cannot be cascaded to other lines), contrary to a policy of ‘standardised design, to reduce costs’. Whatever the future demand for North – South travel is, setting 250 km/h as the rail design speed dispenses with the need to excavate thousands of tons of spoil, halves the traction energy bill, ticks the ‘carbon-possible’ box, and enables the use of truly interoperable trains. Greengauge 21‘s February 2010 report The Heathrow Opportunity stated that “There is clear evidence that what is needed is for high-speed rail services to operate directly to (Heathrow) airport“. It contained a diagram showing Heathrow lying north of the Great Western Main Line, with a station at the airport itself, linked to HS2 by both north-facing and London-facing connections, as well as south-facing connections to the Brighton and Portsmouth lines. ATOC notes that the proposed Crossrail Interchange station at Old Oak Common would provide links into the Central London business district, the City and to Heathrow. However, it believes the longer-term business case for all HS2 and most Great Western trains to call at this station needs to be examined carefully with consideration given to the impact on journey times and any benefit associated with the interchange opportunities created. The proposed strategy would undermine the journey time benefits of HS2 and lead to an increase in journey times on the Great Western from London to Reading, Bristol, South Wales and the South West if stops on all Great Western trains were introduced. In the future, following development of a Heathrow spur, some of the advantages of Old Oak Common as an HS2 interchange station for high speed services would naturally disappear and an overall balance therefore needs to be struck between interchange benefits, journey time disbenefits and the timing of any eventual direct link to Heathrow.